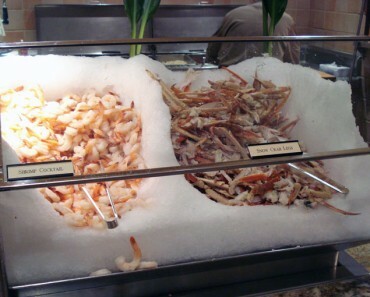 Buffet of Buffets price hike alert: They have increased the price by $10 per person, read below for the gory details. 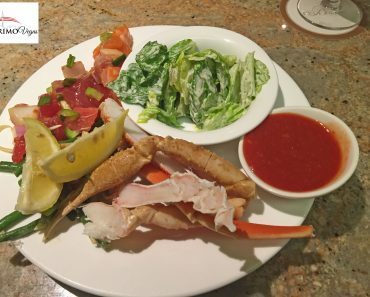 The Buffet of Buffets 24 hour pass offered by Caesar’s has been around for at least a decade, and allows you 24 hour access to the buffets at Harrah’s, Flamingo, Paris, Rio, Planet Hollywood, and Caesar’s. 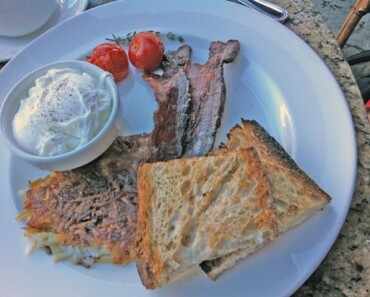 To get maximum benefit from the pass, we recommend starting the clock with your first meal being a 7 or 8 pm dinner, and that will allow you to use the pass the following day for breakfast, lunch and dinner again (so long as you start the dinner meal well before the dinner the night before’s clock in time). If you play your cards right you can enjoy 4 main meals with the pass. Which is how we do it. The price started off priced at $50, and was most recently $55. 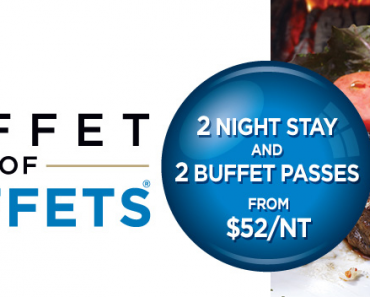 Total Rewards members were given a $5 per person discount, which made the pass a very reasonably priced no-brainer for Vegas-bound buffet fans. The bad news is that they have increased the pass price by $10: The new price is $60 per person, and they no longer offer the $5 discount for Total Rewards members. Which is most unfortunate. But for the new price is $60 (in the US dollars) you can manage 4 meals during the 24 hour period, which averages out at only $15 a meal. 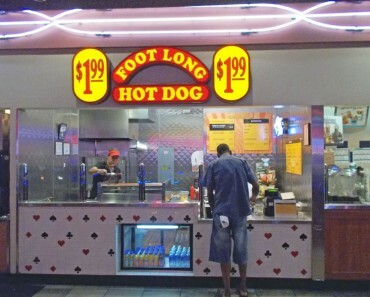 And given the way we eat (mostly crab legs and jumbo shrimp instead of pasta, chicken and salad) it is still a pretty good deal, which carries the official Primo Vegas endorsement. 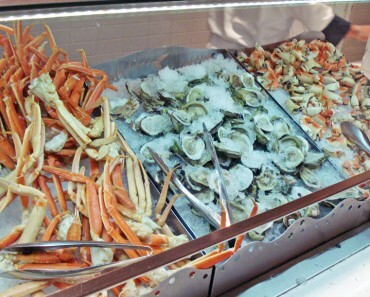 1) The Buffet of Buffets pass is valid at the Bucchanal Buffet at Caesar’s Palce and the Rio Seafood buffets, but you have to pay a premium ontop of the price paid for the pass. 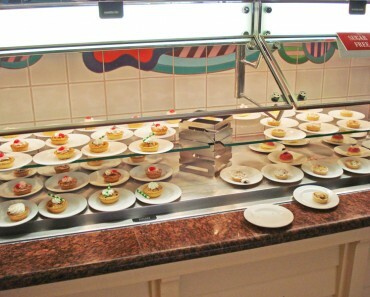 2) Sometimes it is cheaper to book your hotel room as part of the Buffet of Buffets package, instead of buying them separately. 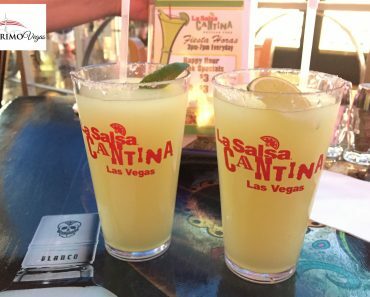 You just have to check both options when you are ready to book your Vegas holiday. 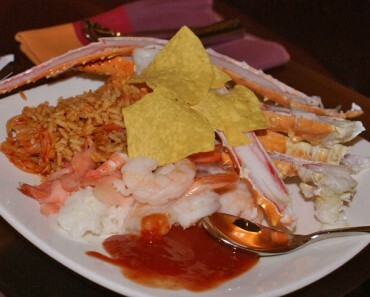 Possibly world’s best seafood buffet – amazing slide show!